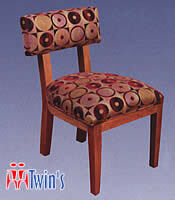 Each piece of Twins Upholstery furniture is custom made at our factory located in Fort Lauderdale, Florida. 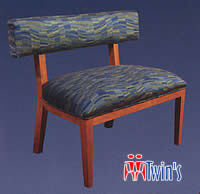 From feature hand crafted hard wood frames, steel reinforced seat and backs, to 1.6 lb. 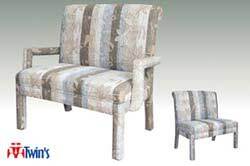 Density Foam with a thick Dacron covering Twins Upholstery parsons chairs are elegantly finished, long lasting first class pieces of furniture (sofas, wedges, love seats and chairs) made in America by people who enjoy their craft. 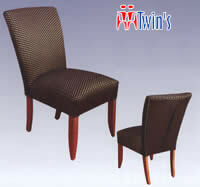 Twins Upholstery DOES accept inquiries from RETAILERS! if you would like to use your own fabric please contact us.